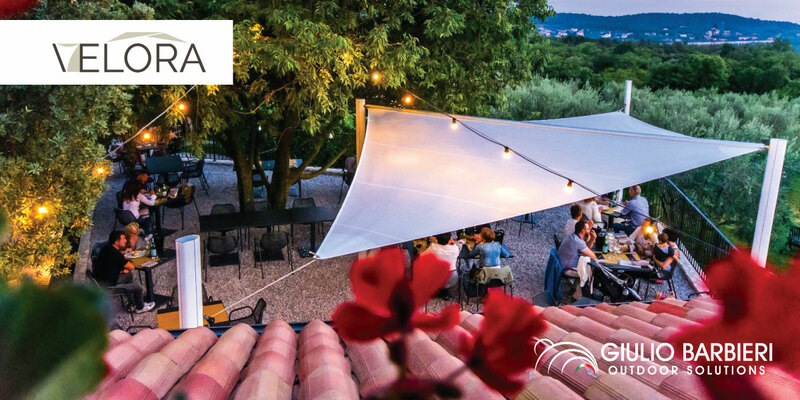 Come and meet our team at the exhibition-event "IN-OUT your outdoor experience", where you can find out more about our Albatro canopy, the Velora shade sail, and the new Qzebo gazebo. Once again this year, our company's presence is confirmed at the event "IN-OUT your outdoor experience", which will take place from 9th to 14th April at Fuorisalone in Milan. 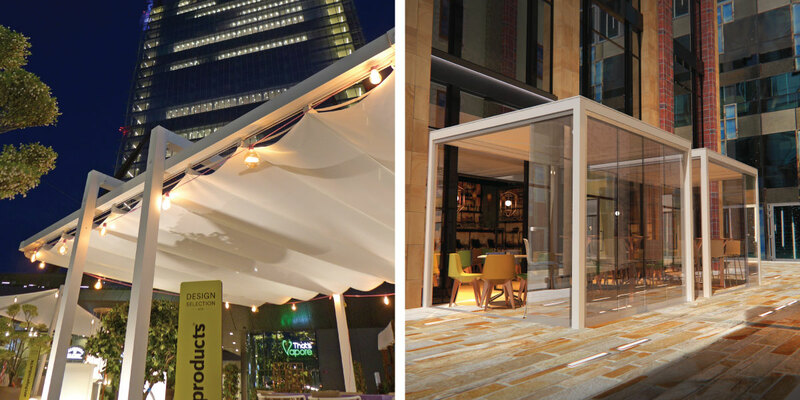 Here our shading canopies and verandas will be presented in synergy with other renowned companies working in the fields of outdoor furniture and sports, providing a reflection on the idea of "outdoor living in the city". The event was conceived and organised by the Milan's Studio Rotella in collaboration with Promoest, Fierecom & Events, and the publishing house Class Editori to promote the Nature-City-Human Being integration through innovative and environmentally friendly proposals. The event in Milan is, in fact, only a part of a broader project that has an international extent: in September, the company will be taking part in the Genoa Boat Show and the Dubai Expo 2020 in October. Milan's "en plain air" exhibition-event will take place at the City District, the new area of Fuorisalone dedicated to the Outdoor. Architects of international renown were asked to redevelop the city following a new model of architecture, in which the natural elements become the fundamental design components that are essential to ensure a high quality of life and well-being to its inhabitants. In particular, the installation will take place in one of the main squares, the via Ferrieri shopping street, the terrace, and the park, with a full program of events on the subject of outdoor life and e-mobility. The attention will be primarily focused on new design trends in the furniture, sports, boating, and automotive fields with particular regard to assessing the environmental impact of the new proposals. All of this will be accompanied by initiatives aimed at making the public even more aware of the contact with the natural world. The visitors will be able to attend meetings on yoga, pilates, Feng Shui, meditation, holism, nutrition, and many more. The values brought forward by the event are also the values that inspire our designers. First of all, it's the love for Nature, which translates to loving the essence of its manifestations which, in turn, means avoiding the use of unnecessary elements in the design, awakening in people the pleasure of moving and touching their product, the desire to feel it and to live it to the full. For example, the sun shade sails feature fun sailboat winches, so that every time you want to hoist your sail in the garden, you can breathe in the scent of the sea. In our modern society, increasingly oriented towards living in a virtual world, the invitation to movement is a big and significant challenge, as it can help people to live the real world more intensely. Get a quote for the "Velora" garden shading sail! Avoiding elaborate automatic handling systems that cut out even the slightest manual intervention of the user also has considerable pragmatic advantages. This tactic not only is able to reduce installation and maintenance costs drastically, but it also makes the product less likely to break than the complex systems. The result is a range of pergolas intended to last over time, in which every detail is simplified, reinforced, and designed to give the user a pleasant feeling of strength and safety during use. This continuous quest for the essential is evident in Giulio Barbieri's aesthetics: the shapes are minimal, available in a range of neutral and warm colours with matt finishes that give an even more natural effect. If you are intrigued, we invite you to visit our stands during the Milan Design Week 2019. You can find us in the main square with Velora, a self-supporting structure consisting of two triangular roll-up sails, and on the terrace where we can welcome you under our Albatro, an aluminium canopy with a sliding roof, or under the latest arrival to our range, Qzebo, an aluminium gazebo with a revolutionary design. We invite you to take part in this event, not only to stay up to date on the latest trends and find new ideas to enjoy the city better but to meet in person with our team and evaluate any design solutions that can be tailored to your needs.